Are you ready for the DELF exam? The DELF (Diplôme d'Études en Langue Française) is a certification of French language abilities for non-native speakers of French. The DELF exam administered by the International Centre for French Studies (Centre international d'études pédagogiques, or CIEP) for France's Ministry of Education. The DELF exam is the French equivalent for the English TOEFL exam, but the contents and structure of the exams are very different. Like most language certificates there are multiple levels of certification based on the test takers current level of French. Each exam is made up of four sections: written comprehension, oral comprehension, written expression and oral expression. The level of difficulty of each section increases the for each level of DELF certification. The DELF exam is made up of 4 different levels, A1-Beginner, A2-Elementary, B1-Preintermediate, B2 Intermediate. After completing all of these levels a student would then be ready to take the DALF Exam. Are you sure you are ready for the DELF French exams? Want to find out for sure? You can have your first DELF tutoring class with one of our professional French tutors for free. Then, if you decide you would like to try to pass the exam, our French teachers can outline a study plan for you. No credit card required, and no commitment. 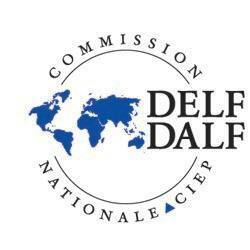 The DELF exam is composed of four independent diplomas (A1, A2, B1 & B2) corresponding to the first four levels of the Common European Framework of Reference for Languages. Exam level of the DELF exam is broken down into 4 sections. The length of time a test taker has for each section goes up depending on the level you are testing for. Of course, so does the level of difficulty. Do you have any questions about the DELF exam? You can speak to one of our DELF tutors for free to ask any question you may have. They will speak with you and evaluate how prepared you are. Speak To A DELF Tutor Today! What makes Live Lingua DELF tutoring different from the local tutors or enrolling at a local language school? And best of all, we let you meet and speak to your future DELF teacher before having to commit to paid classes! The more DELF lessons you enroll in at the same time, the cheaper the hour of class gets. Still not sure if Live Lingua DELF tutoring is the right choice for you? Then just try a free lesson with one of our tutors to make sure. No risk, no commitment. Take a 60 minute trial Skype DELF lesson with one of our Skype French teachers. No credit card required. Thank you. I got a total of 92,50/100 with individual scores as Compréhension écrit 23,50/25, Production écrit 23,50/25, Compréhension oral 22,00/25, Production oral 23,50/25. on the B2 DELF exam. My total score on the DELF A2 went up by 13 points after taking classes with [my French tutor]. Thank you all very much for your help.